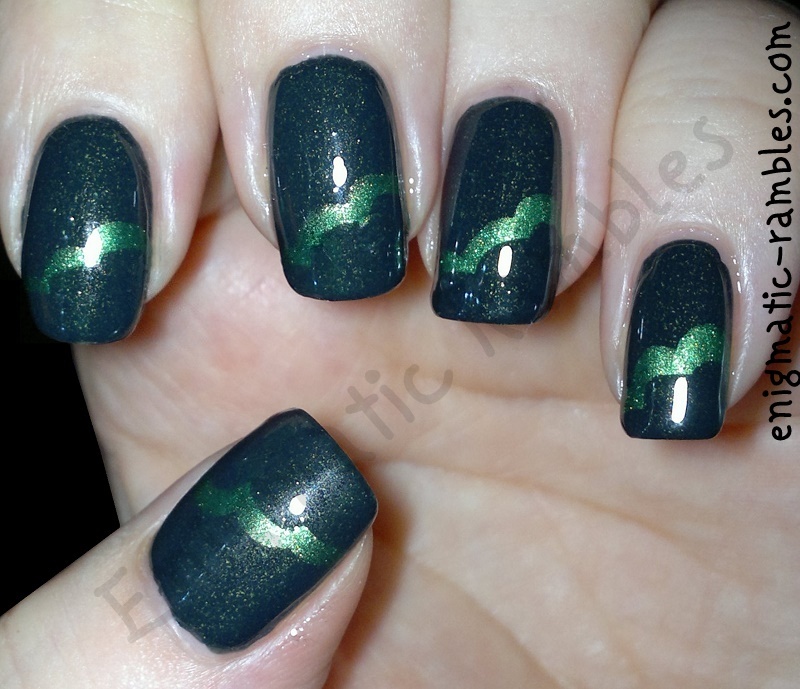 For today's green challenge I decided to use OPI's Live and Let Die and Rimmel's Camouflage. I think the technique I used is called cloud nails? Either way I am sure I will do a tutorial soon as this is easy to do and looks effective. I am looking forwards to when the tutorial comes out! I like how you used the green so that it looks pretty subtle. Almost like a snake coming out of the darkness... great effect!